I’d asked to try a six-speed Ford Mondeo. 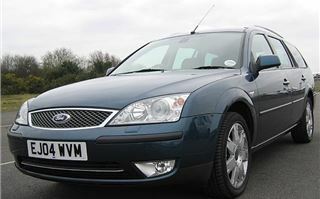 They sent me a Mondeo Ghia X 2.5V6, which list at £20,700. But they knew what they were doing. 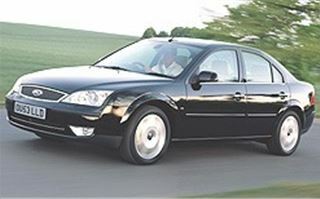 I’d driven and liked most of the Mondeo range before at some time, but all a long time ago and had forgotten what excellent cars they are. And the 2.5V6 that Pete brought to my door is probably the best of the bunch. These days the car market can disappear up its own backside thinking aspiration, status and one-upmanship. 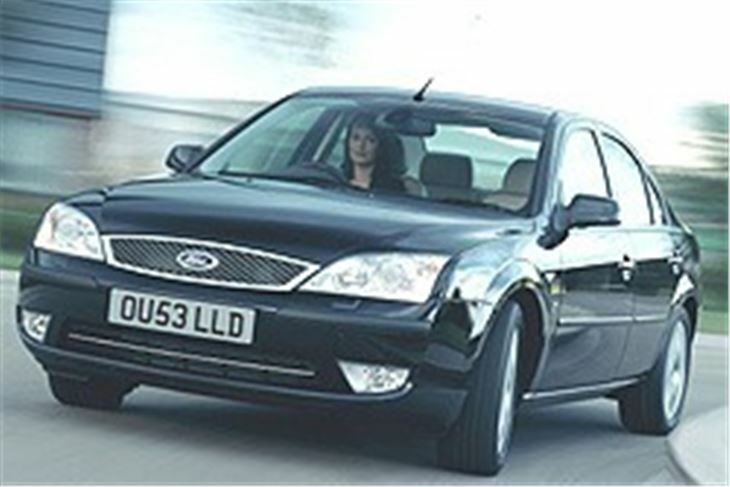 That’s why the BMW 3-Series now outsells the Ford Mondeo in the UK, which actually makes the BMW a more ‘common’ car than the Ford. The stupid thing is that status-seekers wind up driving a BMW 316i for the same sort of money a more clued up person ends up paying for the car I drove. Sure, Mondeos shed cash like the Scottish Parliament building fund, but they don’t cost much to maintain and don’t break down often, so buy them right in the first place and you don’t have to end up a loser. 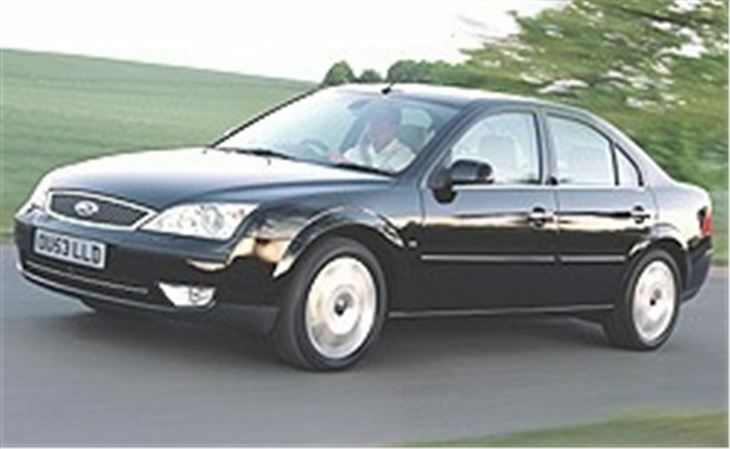 Even with a six speed box and 170PS, the 2.5 V6 is no sportscar. 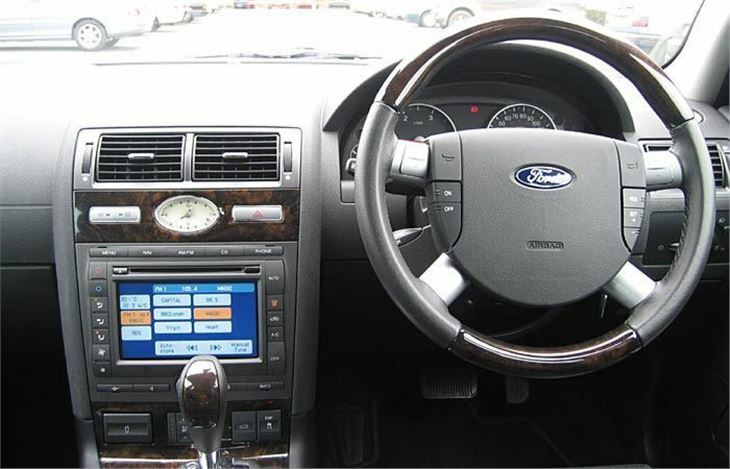 8.3 to 60 sounds quick, but if you want really eager acceleration you have to go for the 226PS 3.0 V6 that does it in 7.2. The 2.5 is more of a quick cruiser, very at home between 90 and 120, and happy at 75 where the engine is turning over a mere 2,500rpm or so. The wow factor of this car is its handling. There’s a roundabout on my way to the M25 with a quick but slightly clumsy exit. Almost every other front-drive car I’ve turned into that exit understeers to some degree. 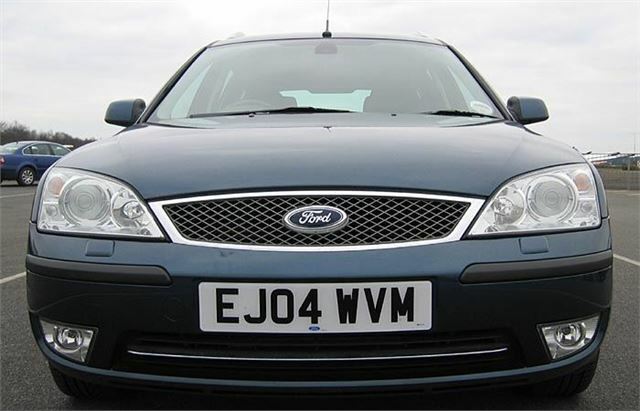 But not the V6 Mondeo. That gripped, turned in and stayed on line better than any other front driver I can remember. And when a car takes the first serious corner perfectly, you know you’re in for a good time. It’s not all fine wines and foi gras, though. That six speed box can take a little bit of getting used to if jerks are to be avoided. And I have heard complaints that the detent between first and reverse is a bit weak, leading to some interesting moments in the traffic light grand prix. Yet half an hour’s practice and these minor problems disappear. 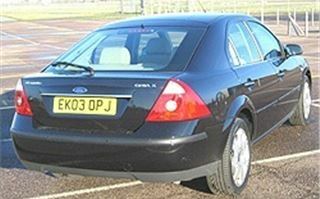 Something else about the Mondeo that needs emphasising is its size. This is a BIG car. Easily as big as the Zephyrs and Scorpios of years gone by and a fair bit wider than them. 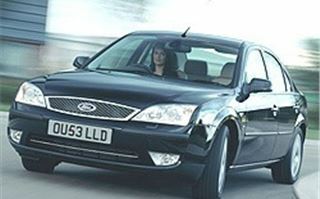 You feel you’re in something the dimensions of an E Class or a 5 Series rather than a family Ford. 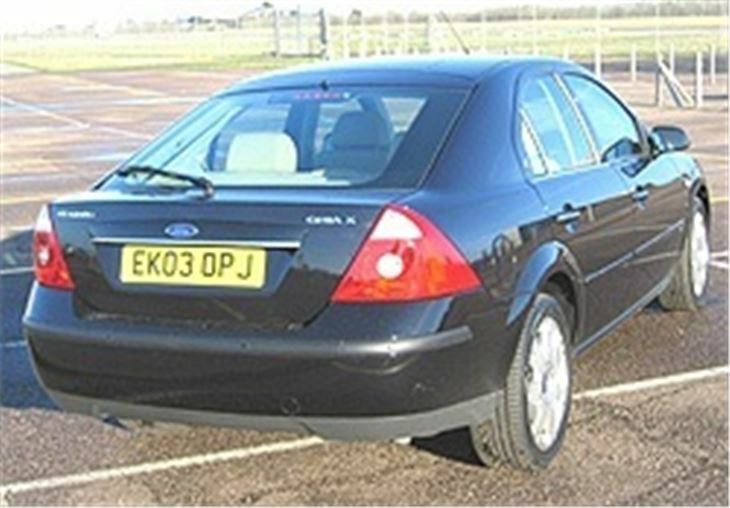 The clincher for me would be the track record of an ex-rental Mondeo 2.0 LX I’ve owned for 5 years and around 45,000 miles. The only thing that ever went wrong with it was the screen washer pipe popped off. It’s still on its first discs and pads. It has done 40mpg on a 300 mile run averaging 75mph. Servicing has worked out at £200 - £300 a year. And even the big one: the 60k miler was only £520 including timing belt and tensioner change. 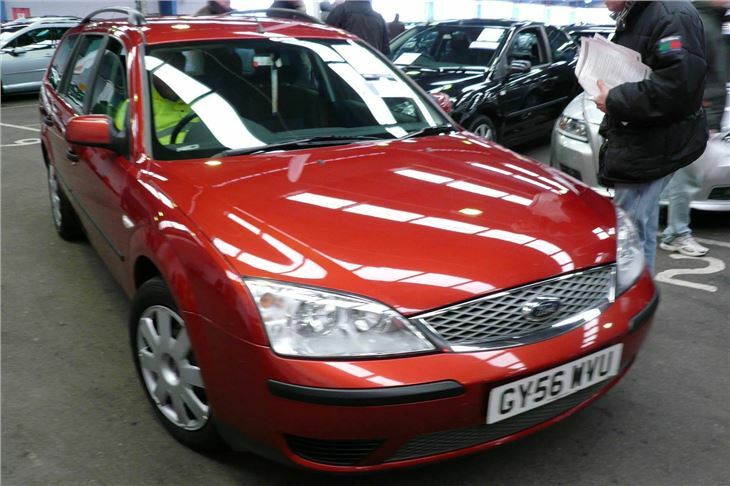 The car is worth zippo now, but there have been no unexpected costs and no grief at all. That’s the reason to buy a Ford.